DOCTOR WHO - Looking back at THE ENEMY OF THE WORLD | Warped Factor - Words in the Key of Geek. Matthew Kresal takes a look at The Enemy Of The World, recently returned to us after a 45 year absence - was it worth the wait? Looking back on 2013, it was undoubtedly an exciting time for fans of Doctor Who both new and old. As well as the lead up to Day Of The Doctor and Matt Smith's exit in The Time Of The Doctor, 2013 also saw a piece of news that was particularly exciting for fans of the classic series. It's hard to believe that it's been roughly six months since the BBC announced that not one episode, not one story but effectively two stories from the Patrick Troughton era had been returned to the BBC forty-five years since they were last aired in the UK. The two stories were of course the much talked about Yeti adventure, The Web Of Fear, and its immediate predecessor, an often overlooked story called The Enemy Of The World, for which we previously had only episode three and the audio from which to judge the story. So how did this lost story fare when finally brought back into the light of the day? Besides the fact that it was missing, The Enemy Of The World had previously been remembered for two reasons. The first is that it was the story that gave Patrick Troughton the chance to play a dual role by also having him play the villain: the would be dictator of the world Salamander. 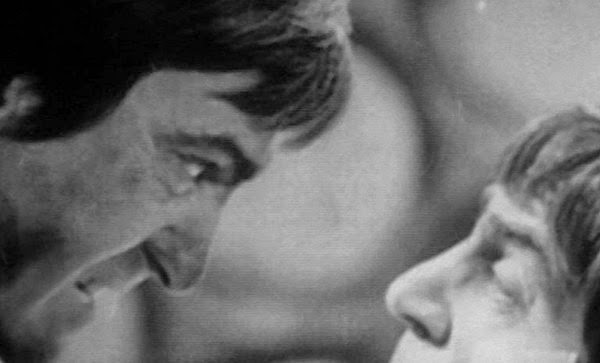 Perhaps no other element of the story has been better served by its rediscovery than Troughton's performances. We get to see all sorts of little moments he has as the Doctor such as running into the sea for a swim or the toothy grin he gives when Astrid calls him wonderful and how it drops when she asks him to do something potentially dangerous. 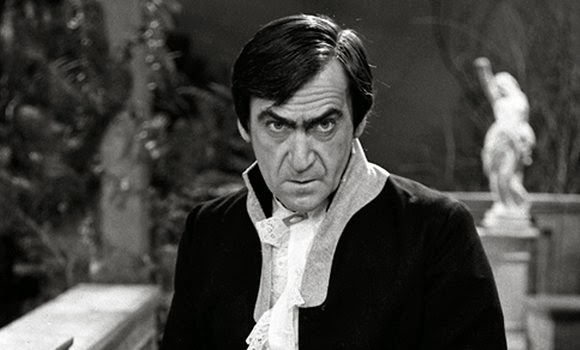 What really stands out about Troughton is his performance as Salamander. On audio, all we ever had to judge was his vocal talent - though the surviving episode three hinted at there being far more to the performance that couldn't be seen. Now, with the entire story back, it is far easier to judge and the results are surprising. As the New Series showed us with David Tennant in the two-parter Human Nature/Family Of Blood, playing a dual role can give the actor portraying the Doctor a chance to shine and reveal just what else they can do. Troughton clearly milks this for all its worth as he presents a man with many faces: the charming and likeable public figure, the politician who manipulates and schemes and lastly a combination of the two who keeps a group of people underground, who he uses as puppets, by claiming a nuclear war has taken place. By the time we see Salamander lighting up a cigar towards the end of episode four, there is no doubt in our minds that this man is every bit the villain we were told he was and it's Troughton's portrayal that really sells that. Between the two, this is one of Troughton's best stories - from a performance perspective at least. The other thing this story has been known for is a strong James Bond influence. With the visuals of the story returned, that influence is in no doubt as the many action sequences in the story have a strong Bond feel to them. The extended action sequence on the beach and in Astrid's bungalow in episode one could have come out of a James Bond film of the period and indeed has interesting pre-echoes of On Her Majesty's Secret Service, which wasn't released until more than a year later, while the underground base can't help but bring to mind the SPECTRE volcano lair of You Only Live Twice, released earlier in 1967. Weirdly the plot of the Doctor and companions infiltrating the organization of a Central American leader, sowing seeds of doubt and ultimately being responsible for his downfall echoes a Bond film not made until 22 years later: Timothy Dalton's second and final 007 adventure Licence To Kill. It seems that what we're ultimately presented with then is Doctor Who's attempt to do a somewhat futuristic pseudo-James Bond film as a six part serial on a 1960s BBC TV budget. Moving on from those points, there's more to this story as well. It's got some great performances from the companions with Jamie in particular getting plenty of time to shine while Victoria is also given some good moments, especially comedic ones, yet she is also plagued with scenes such as her odd paralyzing fear about getting into a helicopter in episode one. The supporting cast are strong as well, from Mary Peach's feisty heroine Astrid to Bill Kerr's Giles Kent (a character best served upon multiple listens/viewing of the story) to Colin Douglas as Donald Bruce and the first of three strong Doctor Who performances from Milton Johns. Meanwhile the direction from Barry Letts, who made his first contribution to Doctor Who when he directed this story, can be superb at times, especially when it comes to episode one's action sequence on the beach (and a fantastic POV shot from the helicopter looking back as it flies away) or the final scene in the TARDIS. His choice of stock music tracks though lets the story down (no pun intended) as they often come across as too loud and a bit over the top. Where the story is let down most is by a key selling point in 1967-68: it's futuristic setting. There's something rather odd about watching a story set in 2018, a point just four years away, as depicted by 1960s thinking. The costumes in particular are laughably dated and actually don't serve a couple of the actors well at all while the idea of people taking rockets from one side of the world to the other in two hours speaks more of 1960s optimism about the course of spaceflight then about our world where NASA space shuttle fleet has now been retired for a couple of years. Much the same can be said of the underground bunker and its inhabitants kept there by the fall-out from a “nuclear war”. All of which makes the story an interesting artifact from a time that seems increasingly removed from the here and now, with results that often seem clumsy and dated today. Ultimately then, with the ability to finally judge the story on the whole, what are we to make of it? It certainly features Troughton in one of his best performances, the James Bond feel suits the story well, there's a talented cast and some good direction despite the issues caused by its setting. Is it the best story of the era? Perhaps not. What it is though is a welcomed return, a chance to see more of an era that has seemed by and large lost to us. Come back later for our look back at Mission To The Unknown & The Daleks' Master Plan.